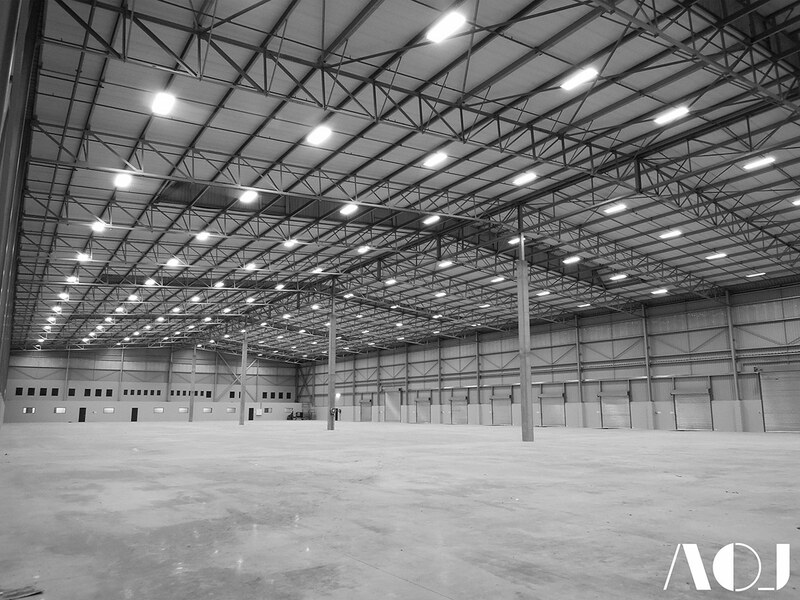 AOJ was approached by a long standing developer to design a new warehouse & office building as an addition to their constantly growing property portfolio. 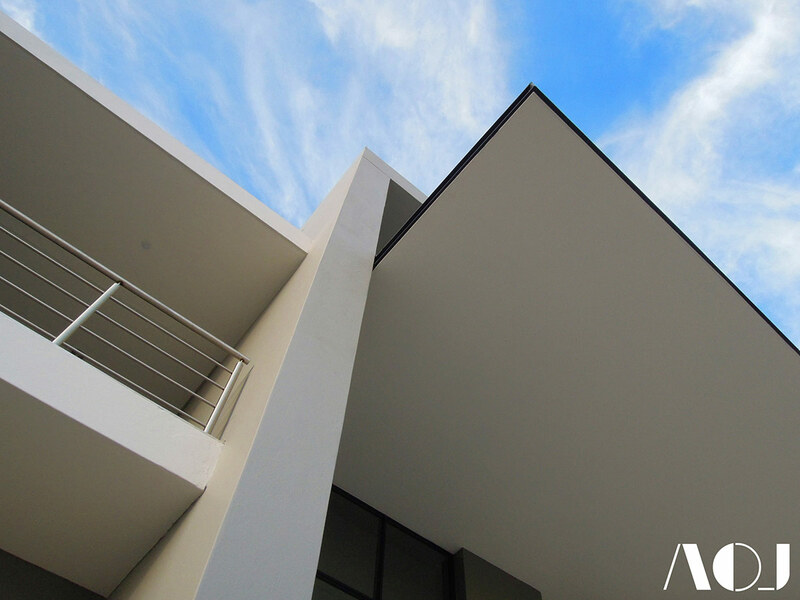 As most developers look to increase the value of their investment, optimal land use is essential. 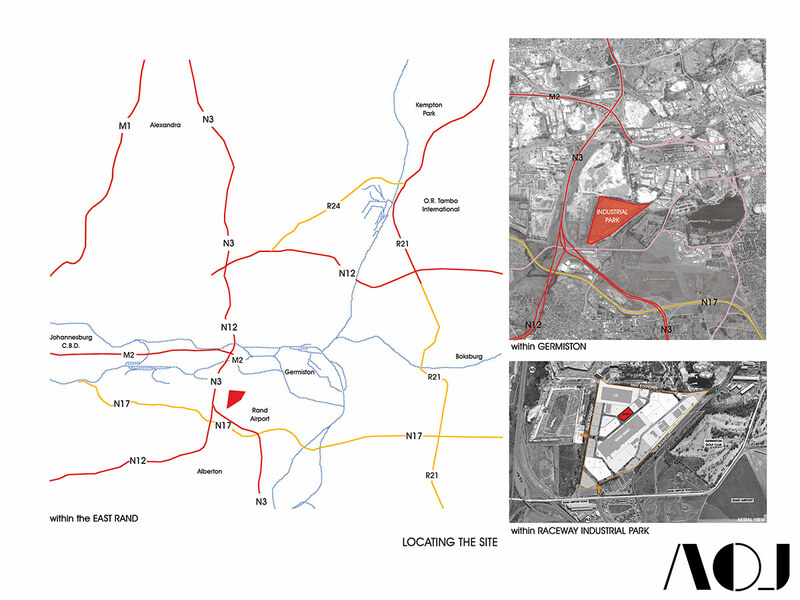 Hence the primary focus for the client was to develop the site, located within the Raceway Industrial Park in Germiston, to a maximum lettable area. 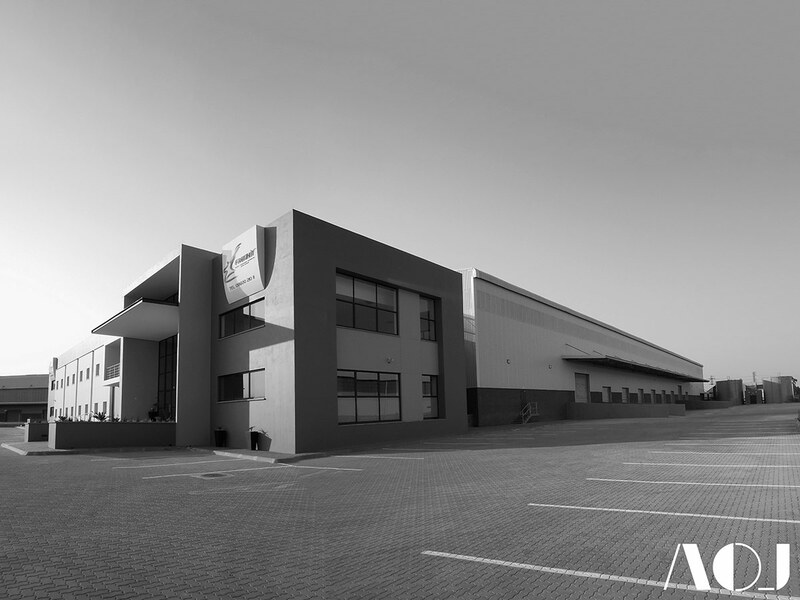 The brief was loosely defined to include a warehouse, large enough to cater for various logistical operations, and ample office space, that would allow for re-organization of the administrative floor area by various tenants during the lifespan of the building. 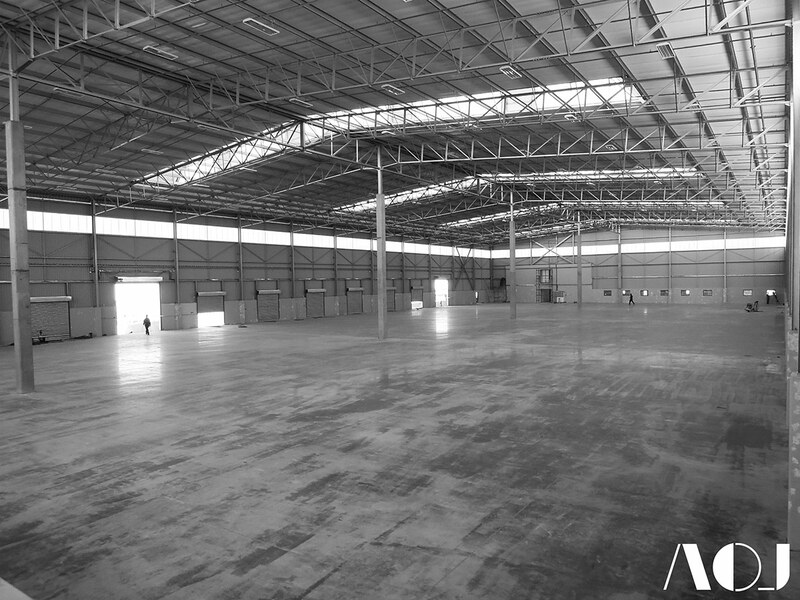 The result is a 6500 m² warehouse, constructed primarily from steel, and a 1000 m² office, built in a conventional concrete frame with masonry infill, both linked by a two storey service core containing ablutions, kitchenettes and circulation. 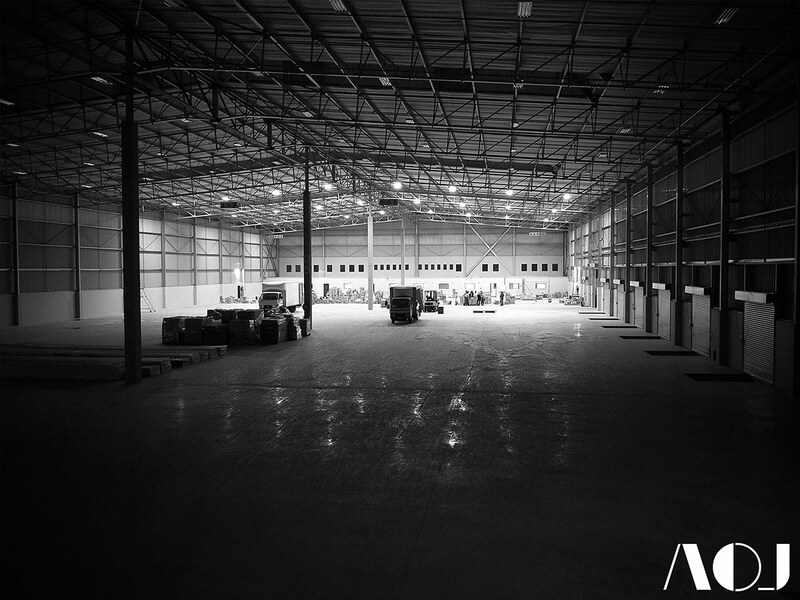 The building materials of the warehouse component were considered in terms of capital outlay, and were to be low maintenance to improve the overall feasibility of the scheme. 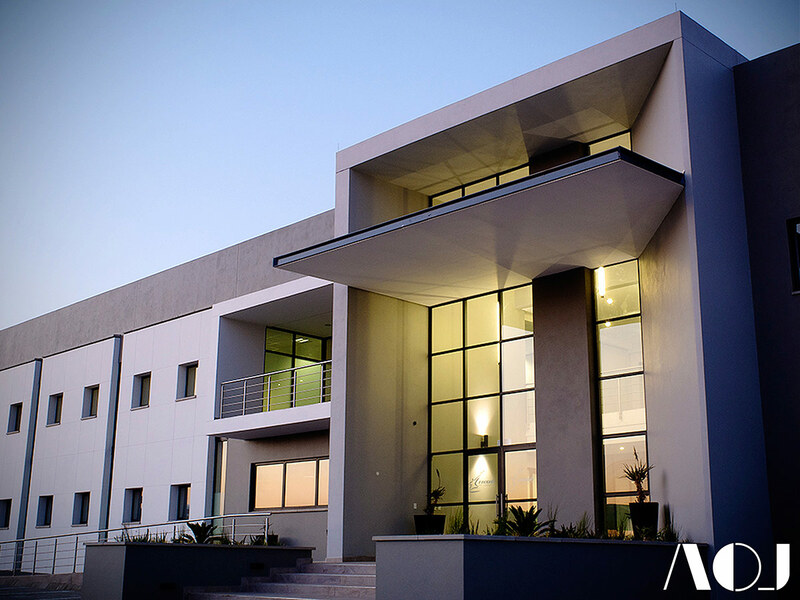 The office block was treated differently, as this is the prominent interface of the building to the outside, and effectively the face of any company letting the building. 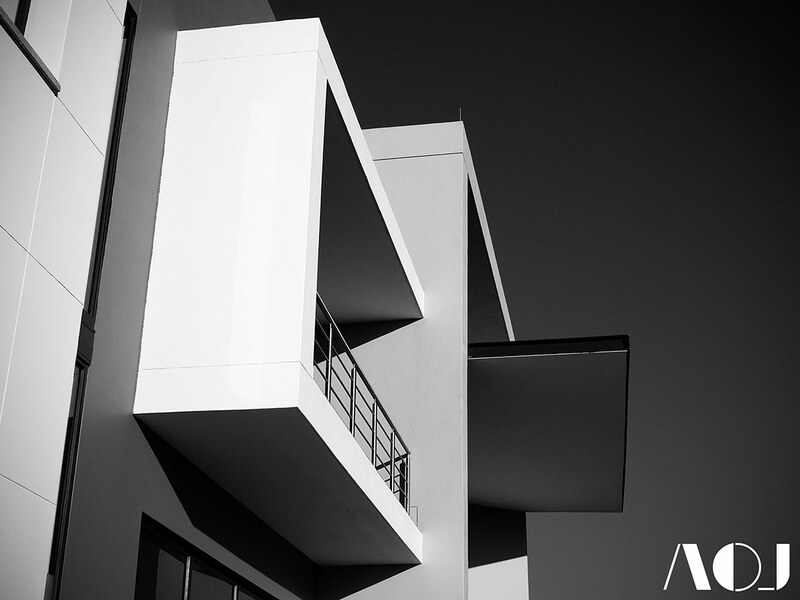 Monolithic massing and careful facade proportioning made for an attractive building that stands out, but is equally anonymous to cater for various brands/companies. 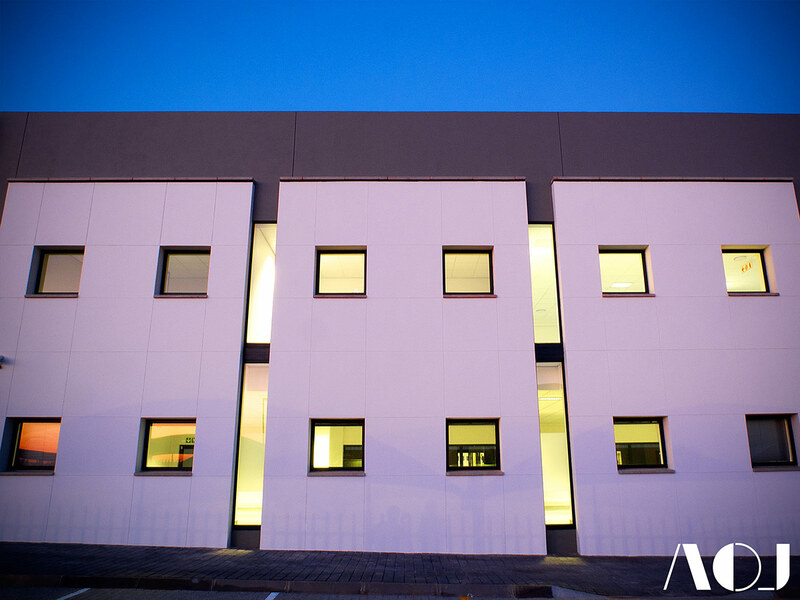 A painted finish to the exterior of the office block allows for the building to be given a facelift by simply painting it a different colour. Simple climatic controls were utilized to improve the designs overall efficiency. 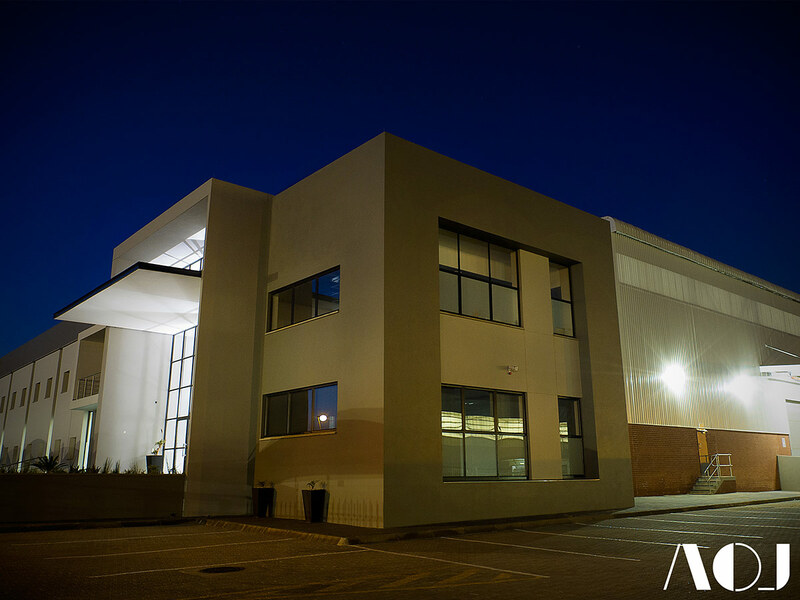 The warehouse building is naturally illuminated by semi-translucent sheeting located as a horizontal band, just below the roof eaves, and in the roof monitors. 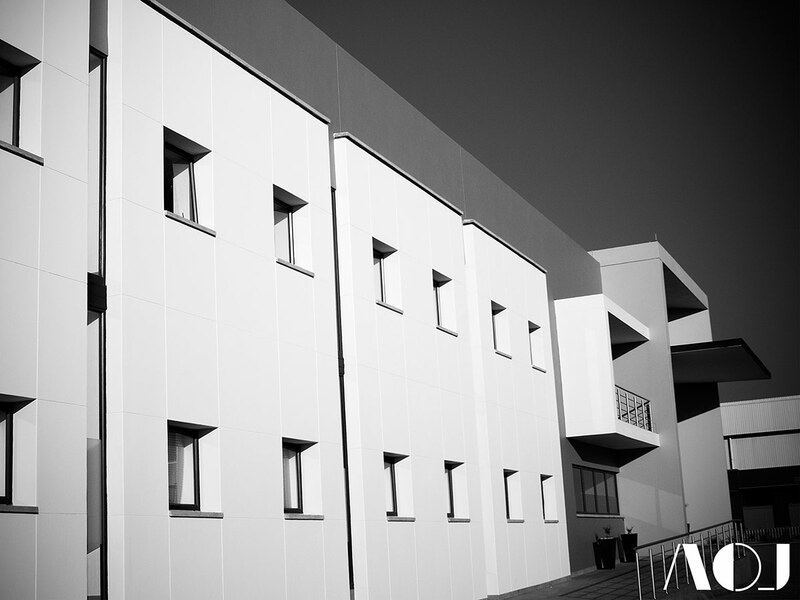 The office block was separated from the warehouse to improve natural cross ventilation to the offices, reducing the need for mechanical ventilation, and further providing a private courtyard large enough for staff functions, or to simply allow for breaks from the daily grind, thereby improving staff moral and overall productivity. 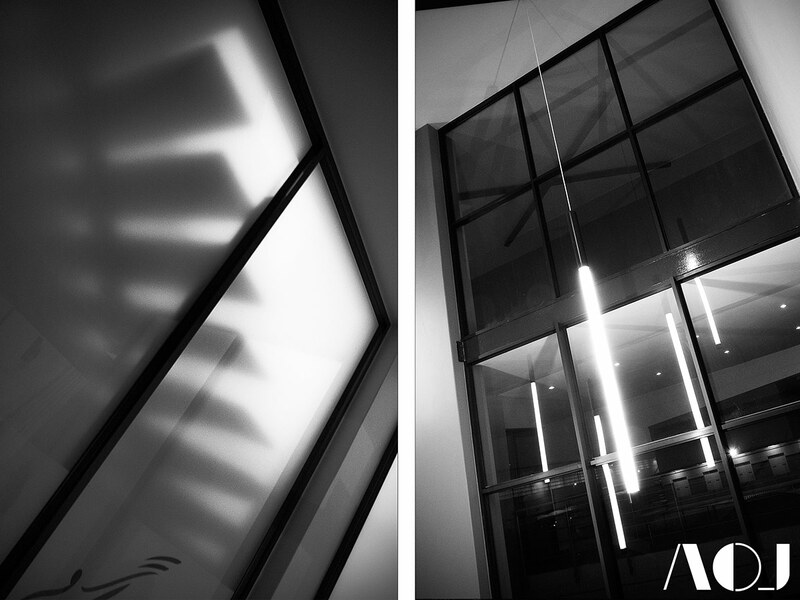 Windows were appropriately positioned and sized with deep reveals where necessary to reduce sun exposure from the west while allowing natural light into the building and facilitating outward views to any future office divisions within an otherwise open plan floor space. 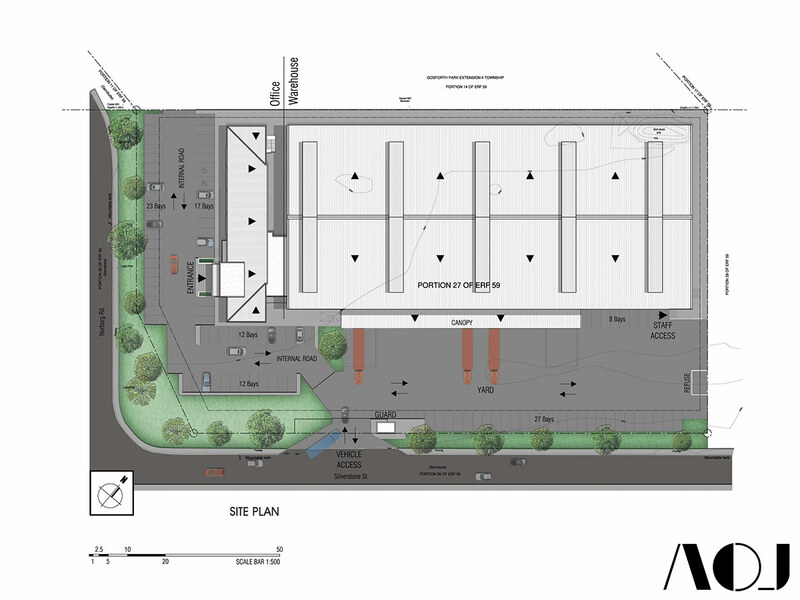 The building’s placement on the site was largely dictated by the need to increase the size of utility yard thereby improving truck and other vehicular access. By placing the yard south of the 10m high warehouse, shade is created allowing for a more comfortable environment to the staff operating outdoors during the long summer days. 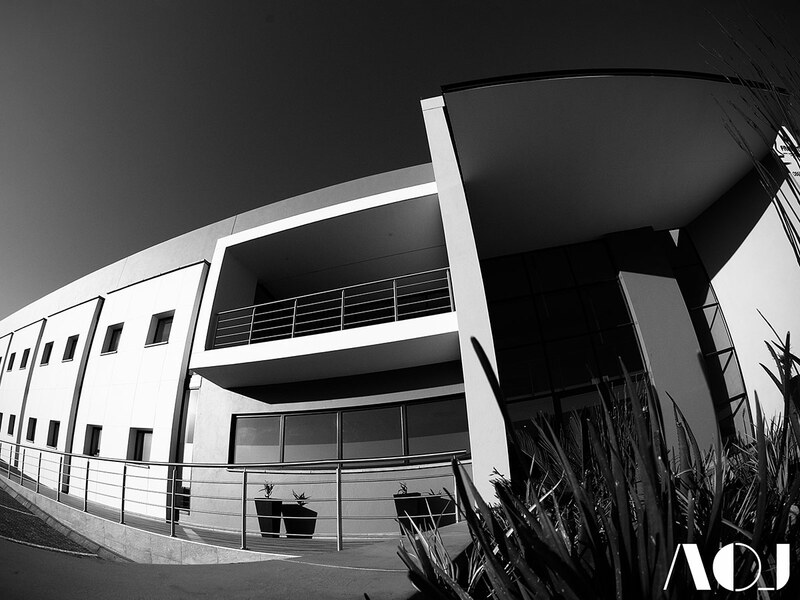 The office was positioned to increase street exposure and dominates one of the two streets bounding the site. When driving by, one is left with the impression that the building is fittingly designed to address a generic need while maintaining a unique appearance to that of the surrounding buildings found within this industrial park.